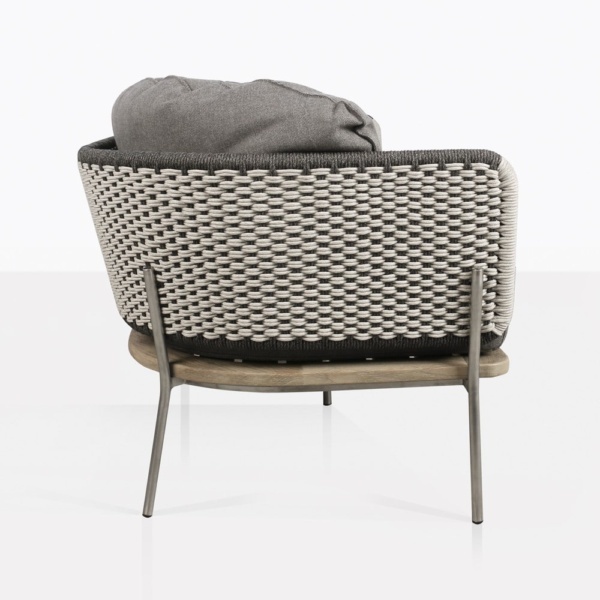 The Studio Rope Relaxing Sofa uses every aspect of comfort in one practical and stunning design. 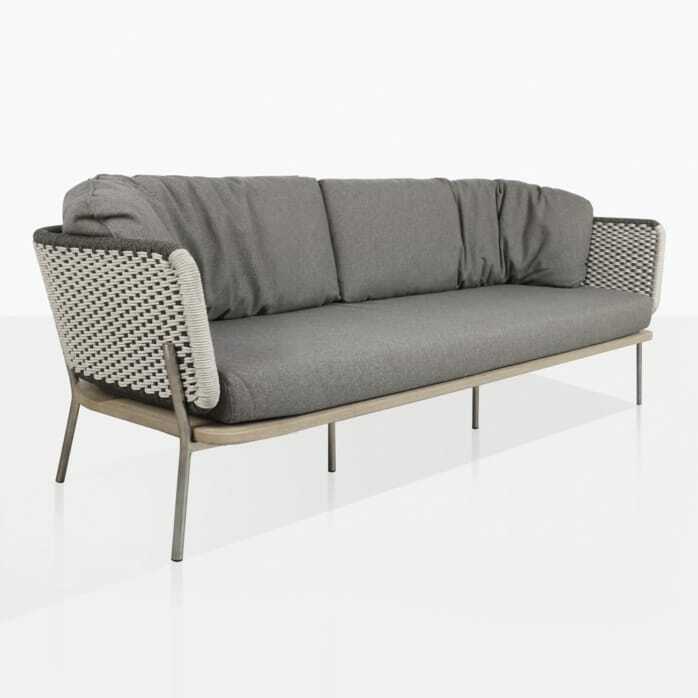 The sofa is made from our premium classical materials of teak, aluminum, and woven rope to create a unique piece that corresponds to a mid-century modern aesthetic with a kick of contemporary. It’s compact design is the perfect addition to any balcony or outdoor garden to bring comfort and style to your space. 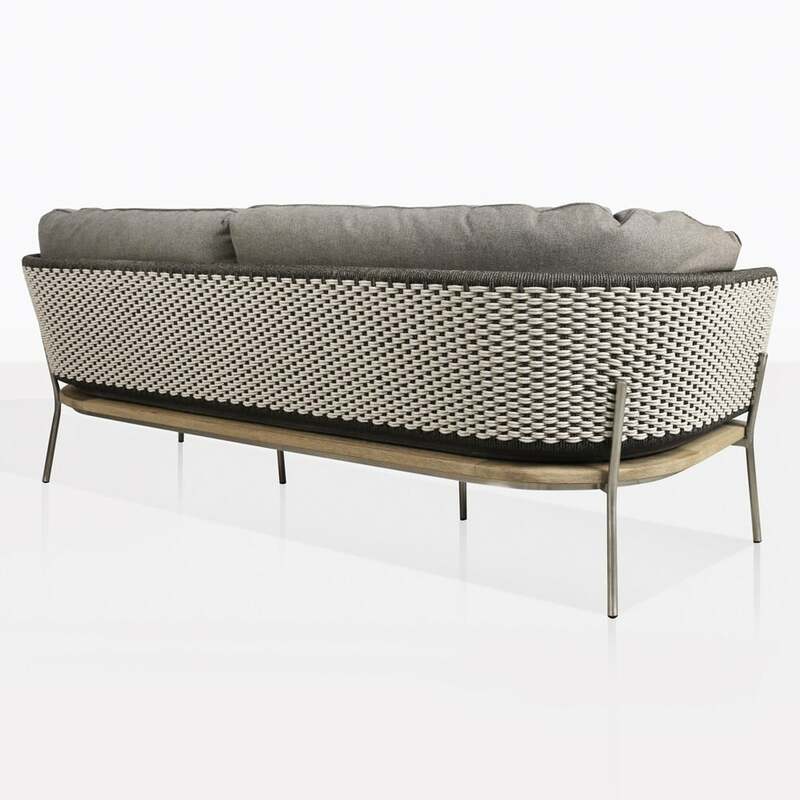 This sofa brings form and functionality with its strong frame and smart design that will never overcrowd your space. 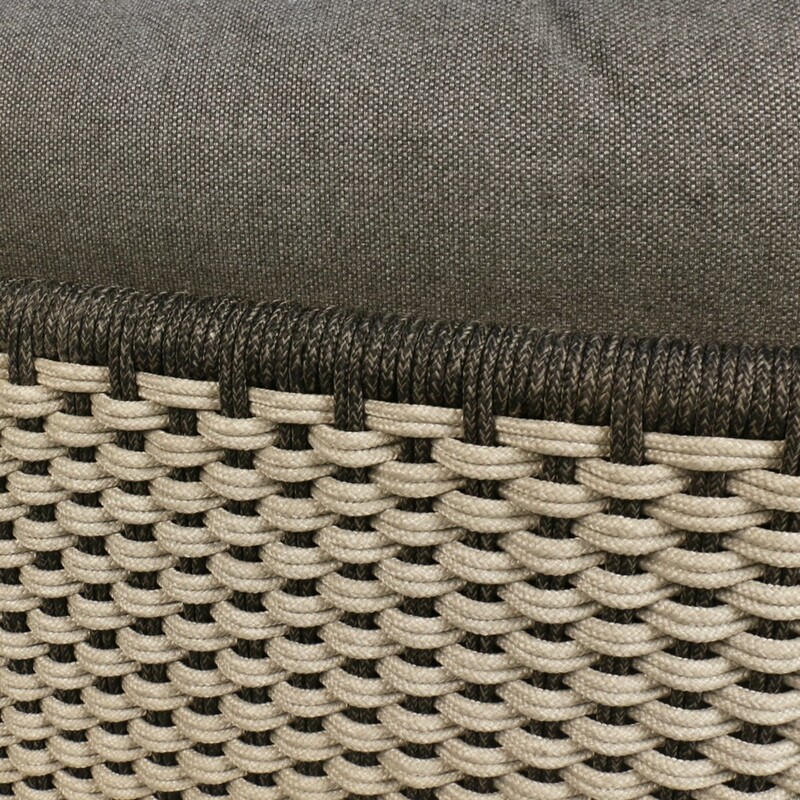 The cool design of the curved rope backing pairs effortlessly with the gorgeous oversized Sunbrella® cushions to ensure you experience all the best in luxury comfort. Elevate your outdoor space with the exclusive design of the Studio Rope Sofa. Stop by our showroom in Parnell to enjoy this sofa in person or call us today to order your new collection!